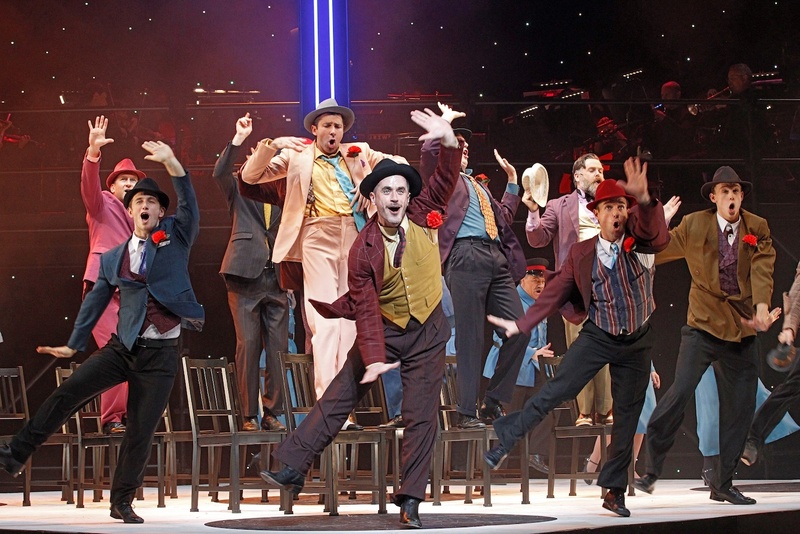 The Production Company begins their 2014 season with a slick and streamlined staging of evergreen classic Guys and Dolls. 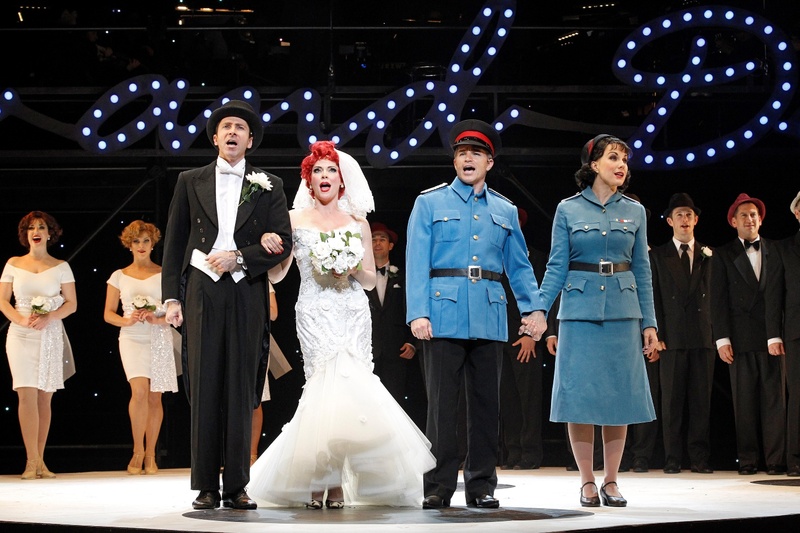 Wonderful music, glossy production values and a host of skilled performers make for an enjoyable visit to the theatre. After the exceptional success of Chess and Gypsy, both helmed by director Gale Edwards’, hopes were high for a similarly stellar result with Guys and Dolls. Chess comes with permission to adapt the book as any director sees fit, and Edwards went on to trim Gypsy, despite Arthur Laurents’ book being considered one of the greatest in the music theatre canon. The changes go too far in Guys and Dolls, with cuts in Jo Swerling and Abe Burrows’ immaculate book also extending to cuts in the staging that make the whole affair seem to happen in a vacuum. There are no “dolls” in the street scenes and no “guys” watching at the Hot Box. Punch lines are removed and connections are lost, with the most egregious cut being the absence of the final scene line about Sky and Sarah having been married in the Mission, blowing the set up of “Marry the Man Today” and depriving the audience of the end of Sky and Sarah’s story. Musical Director Guy Simpson presides over Orchestra Victoria’s impeccable performance of Frank Loesser’s immortal score. System Sound have excelled themselves in allowing individual orchestral parts to be heard so clearly and distinctly. Nathan M. Wright’s snappy choreography is brisk, tight and energetic, and is a joy to watch. Although Wright’s work suffers somewhat from the lack of context of any of the action, he manages to achieve some neat moments of storytelling in amongst the flashy steps he has created. Set designer Shaun Gurton has painted the diagonal raked chessboard of Chess to resemble a dice, with further dice on the lower floor and backdrop. A curved pipe fly helps set the sewer scene, but what was really needed somewhere in the design was a New York City skyline. The vivid splashes of colour of Tim Chappel’s costumes are an eye-pleasing delight, and clearly denote the full complement of characters. Robert Cuddon’s excellent lighting design complements the festive, vibrant tone of the production. Showing Melbourne audiences what they missed in Sweet Charity earlier this year, Martin Crewes and Verity Hunt-Ballard enjoy strong romantic chemistry as Sky and Sarah. An outstanding leading man, Crewes is handsome, suave and confident, with an effortlessly exhilarating singing voice. Hunt-Ballard suffers from an odd directorial choice to give Sarah a shrill tone that makes it unclear why Sky would fall for Sarah and fails to distinguish her from Adelaide. Still, Hunt-Ballard sings sweetly and maintains strong stage presence. Terrific comedienne Chelsea Plumley channels Lucille Ball as eternal fiancée Adelaide, gaining plenty of extra laughs with her occasional scoops into throaty drag queen voice. Wearing a flaming wig and enough make up that the grand circle can see her blink in time during “Adelaide’s Lament,” Plumley is almost too vividly drawn as Adelaide compared to more natural stylings of the other characters. Her characterisation eventually finds some softened edges and captures our affection. Adam Murphy turns on the natural, affable charm as likeable rogue Nathan, demonstrating again his talent for intelligent characterisation. Strong support comes from highly talented male company members Glaston Toft, Cameron MacDonald, Andrew Broadbent and Michael Lindner. A real winter-warmer, Guys and Dolls shows yet the again the high standards that The Production Company can reach in production values and performing talent. 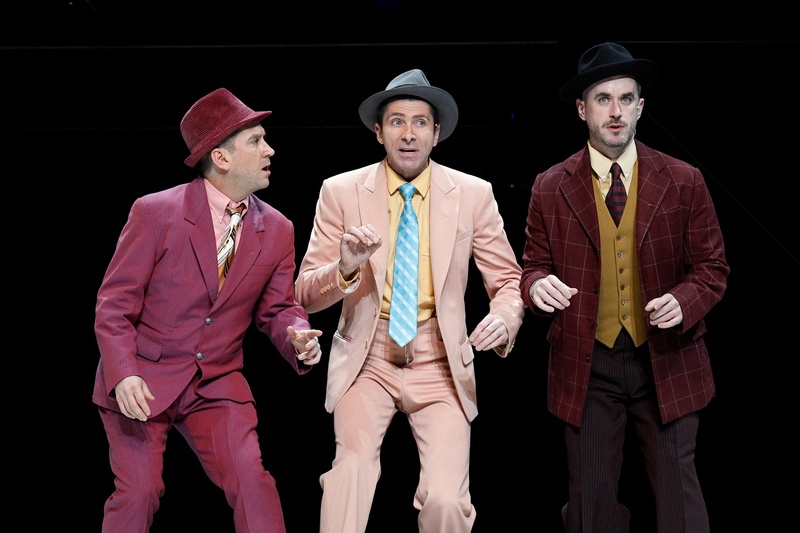 Guys and Dolls plays at State Theatre, Arts Centre Melbourne, until Sunday 27 July 2014. 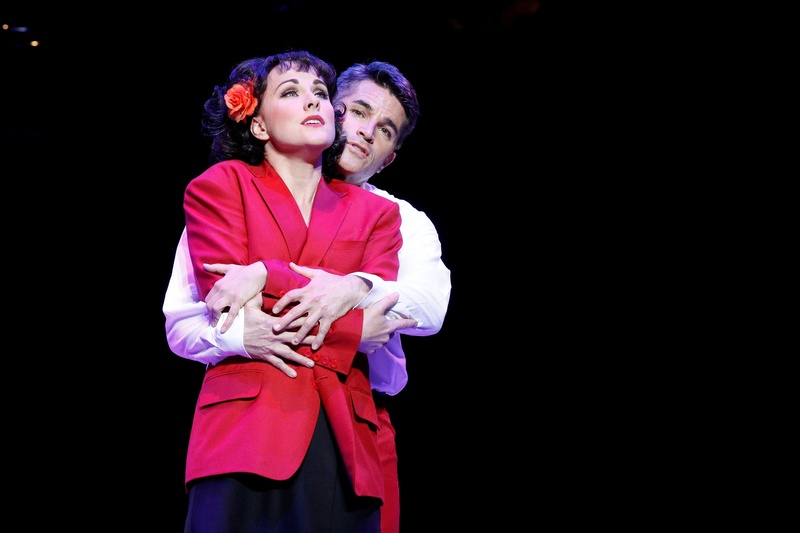 Guys and Dolls was reviewed at 3pm on Sunday 20 July 2014. The Guys and Dolls program can be read online.